To lose weight and tone up it’s all about high intensity interval (HIIT) training. Which of course sounds scary – even to the regular gym goer. And I somehow roped in two of my friends to try out the newest form of HIIT training at Westminster Lodge in St Albans the other weekend, where they were giving us a taster session in GRAVITY HIIT training. Performed on Total Gym equipment, which resembles a pilates reformer crossed with a cable machine, the GRAVITY workout burns up to 500 calories in half an hour. Using your own bodyweight as resistance you push and pull on the machine which enables you to target pretty much every single muscle in the body by changing your position. Greeting the glide board was slightly weird experience – it looked far too technical for me, but after a bit of guidance from our instructor and some practice even I figured it out! Our instructor explained that the higher you position the angle of the board then the more of your body weight you’re lifting – hence the name gravity training. We pretty much covered every exercise, from pull ups to squats – with each exercise being performed for 30 second intervals. My least favourite exercise was a one arm pull up, which I seriously was rubbish at. After 45 minutes of sheer pain we’d finished, and I really think doing this three times a week, within my normal gym routine would work wonders on my toning and strength – especially on my upper body strength, which is pretty much no existent. I loved the fact that the groups were small – only 4 people in ours, which meant you got real one to one attention from the instructor. Overall it was a great low-impact but intense workout, which my aching muscles reminded me of the next day. For your nearest HIIT Gravity class check out there website here, or at The Everyone Active website. 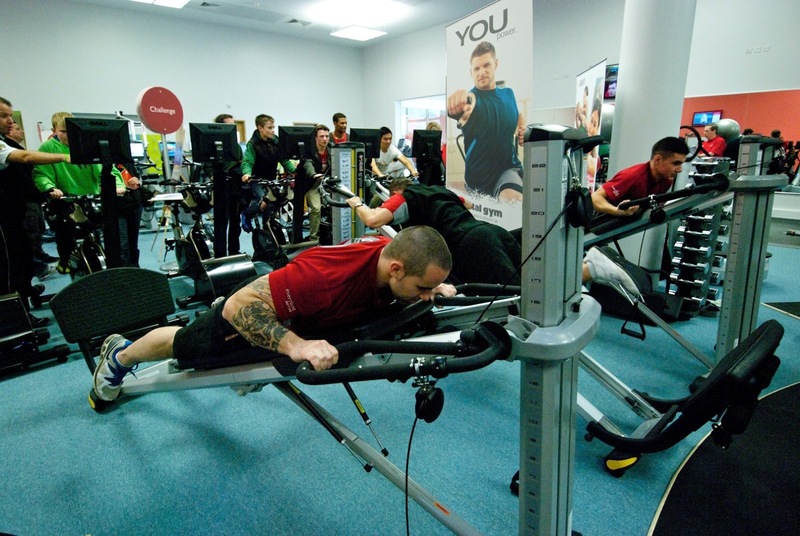 GRAVITY Training is available at selected Virgin Active, David Lloyd and Everyone Active centres and independent gyms across the country.